Sidharth Malhotra has a huge fan following in film industry. It's normal that each person is fan of something or some other persons in this world and same applies for Celebs too! Most of Sid's fans know that Sid is a big fan of The Lord of The Rings film series. 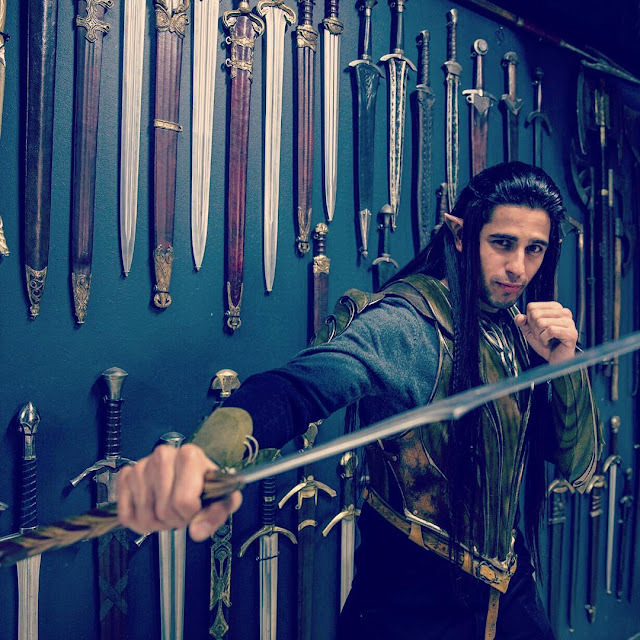 Sidharth recently sported an Elf look during his visit to the world-famous Weta Workshop in New Zealand and took to Instagram and shared a photograph of same. Sidharth said "My elf look from Lord of the rings thanks to @wetaworkshop maybe play Legolas in the next part what say?" Brothers actor have earlier confessed that if he is asked to play a character in The Lord of The Rings he will choose to play Ranger Aragorn. But it seems that he is considering the character of Legolas too, especially after sporting this look. See Also : Sidharth Malhotra and Alia Bhatt ready to get committed? The actor also sampled what went behind the scenes of Hollywood trilogies like The Lord Of The Rings and The Hobbit, getting a dekko at the armour, weapons, creatures, prosthetics, props and costumes from iconic films. Vikram & Amy Jackson starrer I was the first Indian film which took the services of Weta Workshop. Sid also spoke to Mr Taylor about possible future collaborations with Bollywood. Weta Workshop's creative portfolio also includes movies like Avatar, District 9, The Adventures of Tintin, Elysium, Krampus and Warcraft.